Should you get a yearly lung cancer screening? Lung cancer is the third most common form of cancer in the United States and it’s also the most deadly. It’s the leading cause of cancer death in the U.S. and accounts for approximately 28 percent of all cancer deaths. When lung cancer is diagnosed in its earliest stages, the cure rate is 50 percent or more. In the later stages, the death rate is 80 percent. Unfortunately, early diagnosis currently only occurs in about 15 percent of cases. Why, then, don’t we regularly screen for lung cancer as we do for breast and colon cancer? In 2004, the US Preventive Services Task Force (USPSTF), an independent, volunteer panel of primary care providers who review scientific evidence on preventive care services and make recommendations on the value of these services, considered this questions and found at the time that there was not enough scientific evidence to support a recommendation for regular lung cancer screenings. The recommendation is not final and the task force is in the three to six-month process of gathering public comments on the draft. False positives: The test can result in a false positive, which in turn can lead to invasive tests, such as lung biopsy, which carry a significant risk of harm to the patient. False positives can also cause significant psychological harm, similar to the effects found in a recent study on false positive mammograms. No benefit in other studies: Smaller European studies of lung cancer screening did not show any benefit and found that the screening caused various harms in younger patients. Over-diagnosis and treatment: A number of early, slow-growing cancers never progress to cause disease. The surgery and other forms of treatment used to treat these cancers carry significant risk and have the potential to cause greater harm than the disease itself. Effectiveness of screening: If you screen 100,000 smokers with low-dose CT, statistics show that you could prevent 521 lung cancer deaths. In contrast, a 2012 study found that colonoscopies did make a marked impact in preventing cancer deaths, cutting the death rate by 53 percent. Radiation risk: While the CT scans used in the lung cancer screening use a lower dose of radiation, there is a risk associated with exposure. Studies suggest that for 100,000 smokers screened, 24 radiation-related deaths could occur. How do you know if you should be screened? First, bear in mind that the recommendation has not yet been finalized. The best strategy is to have a good, in-depth conversation with your primary care physician about the benefits and risks of this screening based on your personal health history. Together, you can decide if screening for lung cancer is the right strategy for you. 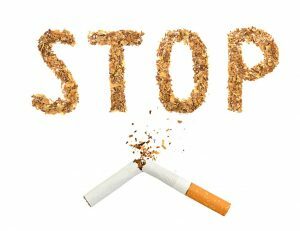 And the best advice, though it is admittedly a tough path, is to stop smoking today. 85 percent of all lung cancer cases in this country are linked to one risk factor—smoking—and quitting can make a tremendous impact on your lung cancer risk and your health in general.